﻿ Instrumentation Supplier in Western Canada | Zimco Instrumentation Inc.
OUR PRODUCTS MAKE US DIFFERENT. OUR PEOPLE MAKE US STRONG. SAME GREAT KNOWLEDGE AND CUSTOMER CARE. EVERYTHING INSTRUMENTATION – FROM A TO ZIMCO. Zimco is a leading instrumentation supplier of high quality and top brand instrumentation products in Western Canada. Click on one of the brands below to see the top products we carry for each or search for a product through our Select by Category option in the drop down menu. Zimco is a leading, exclusive Instrumentation Supplier of high quality, top brand instrumentation products used primarily within Western Canada’s Oil & Gas industry. We represent some 20+ outstanding worldwide manufacturers and are proud to be your premier supplier of pumps, flow control valves, gauges, and other specialty instrumentation. Our products are essential in a variety of markets including Oil & Gas completion and production, the petrochemical industry, laboratory and research applications, and the industrial and equipment manufacturing sectors. 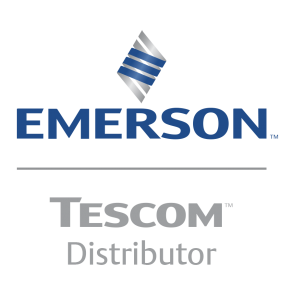 Our product lines include first class brands such as GE Texsteam, Emerson Tescom, Autoclave Engineers, Kenco, Lord Stellar, and Barksdale to name a few. You can find a full list of all the trusted product lines we carry under Brands in the navigation menu. Our team of experts will be happy to assist you in any aspect of your project. Contact us and we’ll gladly share our knowledge with you. Zimco sources the highest quality instrumentation and parts from the leading parts manufactures. Our quality and high standards ensures that you have made the best choice available in the industry.